Host Tiffany Haddish attends the 2018 MTV Movie And TV Awards at Barker Hangar on June 16, 2018 in Santa Monica, California. Tiffany Haddish amped up the shine with a pair of silver Le Silla pumps. 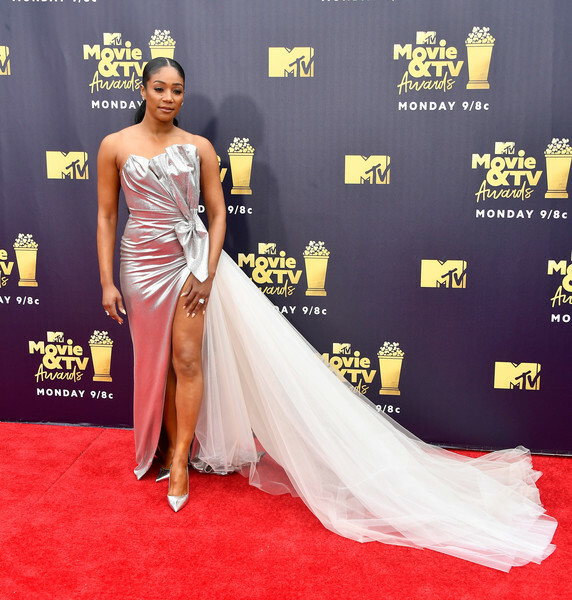 Tiffany Haddish got majorly glam in a Galia Lahav strapless column dress with a high slit and a long train for the 2018 MTV Movie & TV Awards.